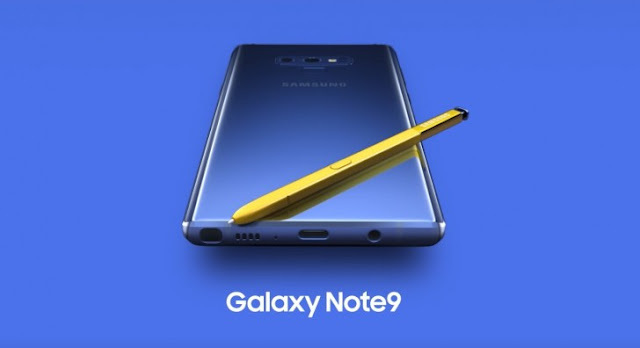 Samsung has officially unveiled Galaxy Note9 in an Unpacked Event in Newyork City today. The Event Started at 8:00 PST and the Samsung Officials introduced the new Note device in an advance multimedia and Stereo Stage. Samsung has also announced Galaxy Watch and Galaxy Home (A bixby Speaker). After a huge amount of leaks stuff,It is finally official - the Samsung Galaxy Note9 takes its place at the helm of Samsung's smartphone lineup. At first glance the new Note looks like a minor update over the Galaxy Note8, but inside there are a lot of meaningful improvements. 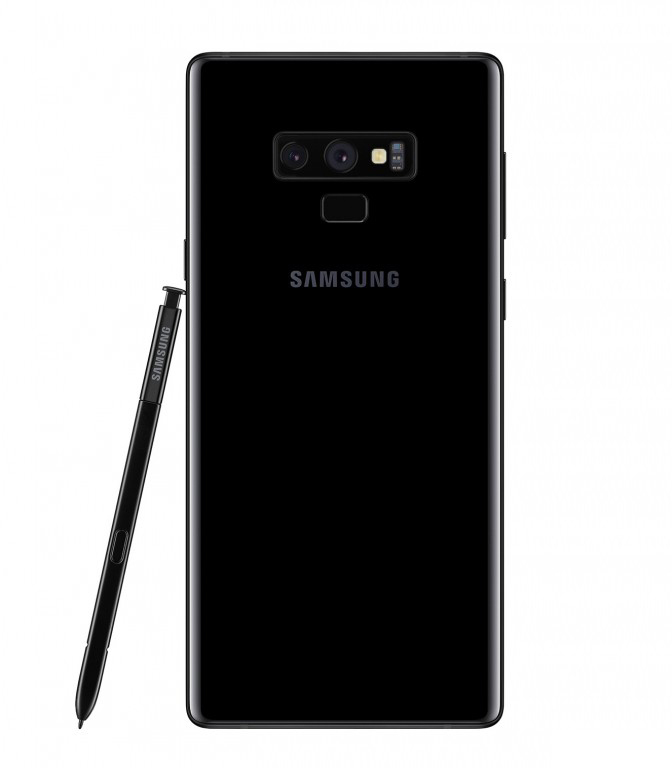 To start with the Samsung Galaxy Note9 has mostly retained the footprint of its predecessor but added a bigger 6.4-inch screen (notchless, naturally) and a 20% bigger 4,000mAh battery. The display is the biggest flagship screen Samsung has ever put on a phone. At 6.4-inch it's just 0.1-inch bigger than the Galaxy Note8's and it shares its 1440x2960px resolution, resulting in a meager deduction of 5ppi. The Super AMOLED unit is HDR10 compliant and supports Always On Display. There's no under the display fingerprint scanner on the Galaxy Note9 but the rear-placed one has moved to a more sensible center position under the dual camera module. That camera array was bumped up to the Galaxy S9+'s system of a 12MP dual-aperture f/1.5-2.4 wide and 12MP f/2.4 telephoto cameras - both optically stabilized and both polished with Samsung's new Intelligent Camera, which will detect scenes, optimize colors and contrast and detect flaws such as a smudgy lens or subject that has closed his eyes. The selfie camera has remained the same 8MP f/1.7 snapper. Other carryovers from the Samsung Galaxy S9/S9+ is the chipset - Exynos 9810 Octa - and the inclusion of stereo speakers (finally). 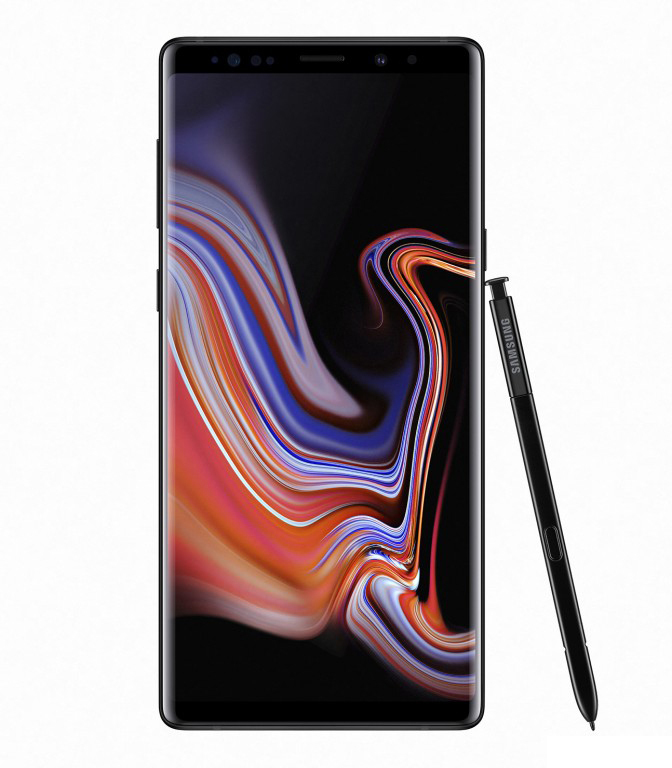 The Galaxy Note9 is of course IP68 water resistant, as is the S Pen itself. Samsung knows that the S Pen is probably the biggest reason people buy Galaxy Note phones, so they made the newest one much smarter. This is the first Bluetooth-enabled S Pen and it can act as a remote shutter for the camera. 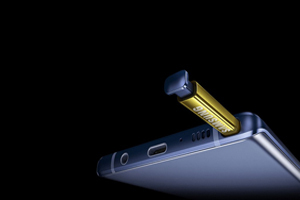 The S Pen has a range of 10 meters and a battery power of about 30 minutes (or 200 clicks). It recharges in only 40 seconds in its holster inside the phone. The S Pen now supports three imputs - short press, long press and double press. Samsung will release an SDK to open the new S Pen to developers. Samsung has updated the DeX on the Galaxy Note9. First off there's no longer a need for a DeX Dock and a physical keyboard and mouse - the Galaxy Note9 can enter DeX mode through a single USB-C to HDMI cable. In DeX mode the Galaxy Note9 is fully functional and can be used as a keyboard and trackpad. 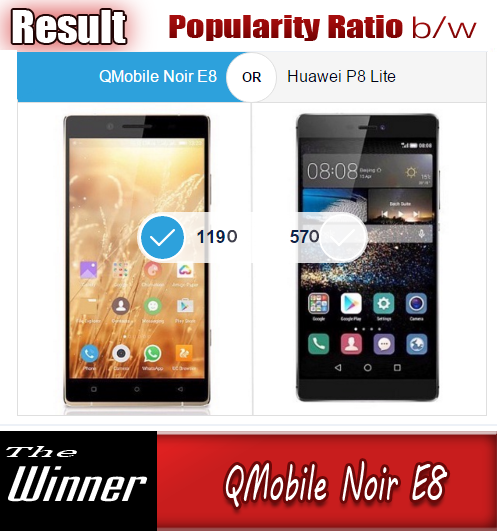 It's shame that the bigger battery can be topped up at the outdated Quick Charge 2.0 speeds. The Galaxy Note9 supports Fast Wireless Charging as well. The base model Galaxy Note9 comes with 6GB of RAM and 128GB of storage, and if that doesn't seem enough you can always expand it through the microSD card slot. 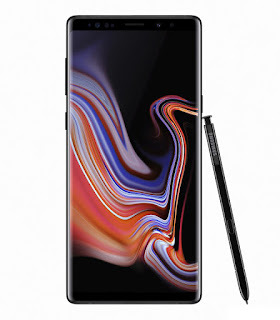 The range topper is a Galaxy Note9 with 512GB of storage and 8GB of RAM. The Samsung Galaxy Note9 comes in Ocean Blue, Midnight Black,Lavender Purple and the new Metallic Copper. The price for the 6GB/128GB Galaxy Note9 costs $999 while the 8GB/512GB model will jump up to $1,250. The Price of Samsung Galaxy Note9 128GB Version in Pakistan will be around 100,000 PKR whereas the Price of 512GB Version will go around PKR 140,000 approximately.